Since flights can represent the biggest part of your trip expenses, finding that hidden cheap deal can be just as important as finding the right destination, the right tour company, the right backpack, or the right place to stay. After all, if a flight is too expensive, you aren’t going anywhere – and today I am going to help you master how to find a cheap flight. These are the exact steps I follow. If you follow them too, you’ll never be the person on a flight who paid the most for their ticket! First, know that there are many reasons why flights are expensive. Bankruptcy has meant that airlines, which are under pressure to make a profit, can’t reduce fares as much, and limited competition gives them less incentive to do so. Additionally, since airlines have slashed routes and capacity, they are flying full planes. Fuller planes also means less incentive to reduce fares. And though oil prices have fallen substantially, airlines aren’t going to lower fares, because for the first time in a long time, they are making money and they don’t want to stop! But that doesn’t mean the deck is fully stacked against you. Every day the airlines have thousands of killer deals — from mistakenly published cheap fares to normal deals to slashed prices to compete with another airline. Cheap fares are out there if you know how to find them. Here is my 13-point guide to easily finding cheap flights, based on over ten years of travel and thousands of flights flown. There are many myths online about finding cheap flights. They will lead you astray. The first thing to know about finding a cheap flight is there is no magic bullet or one secret ninja trick. 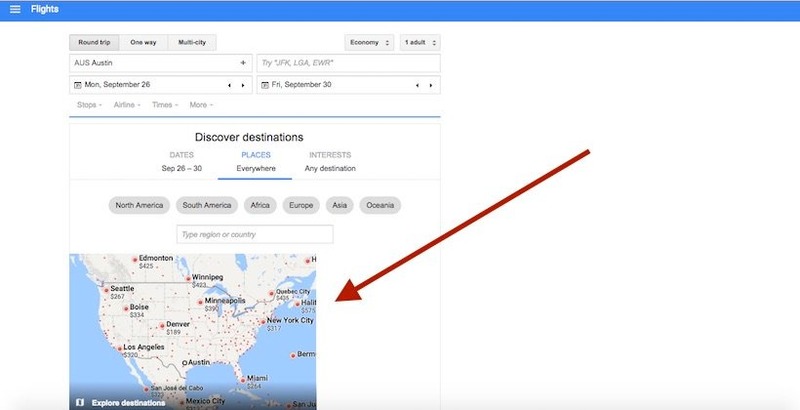 So let me first say: it is NOT cheaper to buy airfare on a Tuesday, there is NO evidence that searching incognito leads to cheaper deals, and there is NO exact date or specific time period in which to book your airfare. Airline ticket prices vary depending on the day of the week, time of year, and upcoming holidays, such as Christmas, New Year’s Eve, Thanksgiving, or the Fourth of July. August is a big month for traveling around Europe, and everyone wants to go somewhere warm in the winter or travel when the kids are out of school. If you are going to fly when everyone is flying, then you’re going to pay higher fares. Try to be flexible with your dates. If you are dead-set on visiting Paris, go to Paris in the spring or fall when fewer people visit and airfares are cheaper. Moreover, it’s always cheaper to fly during the middle of the week than on a weekend, because most people travel on the weekends and airlines hike their prices then. Prices are also cheaper if you fly after a major holiday. Early-morning or late-night flights are cheaper because fewer people want to travel then (who wants to wake up early?!). The difference of one day can mean hundreds of dollars in savings. That is why this is my #1 tip on finding cheap flights. You’ll save the most money if you fly when no one else is flying. You may have always longed for Paris in the summer but so has everyone else and the airlines price accordingly. They know when a festival, holiday, major sports event, or school break is coming up. They aren’t dumb — and they raises prices accordingly. If you can’t be flexible when you fly, at least be flexible with where you fly. It’s best to be both, but if you really want to save the most money on a flight, you should at least do one! The truth about airfare is that there’s always a deal to some destination, and if you’re flexible on where you want to go, you’ll be able to find and use that deal. When you are locked into one place at one time, you are stuck with whatever price shows up. No voodoo can change that. BUT when you become flexible, suddenly the entire world opens up to you and you’ll find amazing cheap airfare! Years ago, if you wanted to fly between continents, you were mostly stuck with traditional expensive airlines. That’s no longer true. Budget airlines now service many long-haul routes, making it possible to bounce around the world for little money. Norwegian Airlines allows you to fly between Europe and Bangkok for about $250 each way. WOW air is introducing cheap flights to Iceland and Europe from the United States for as little as $99. AirAsia offers crazy-cheap deals around Asia and Australia for as little as $100 each way. You can find even tickets from Bangkok to Kuala Lumpur for $30 USD. Indian and Middle Eastern airlines offer cheap flights throughout the subcontinent and Africa. You can fly most of the way around the world on a budget airline! In America, there are only a handful of budget airlines. But in Europe and Asia, there are more, and competition has kept prices there low. Many times, these low-cost airlines offer no-fare tickets — you pay just the taxes. Whenever I am not flying a long, overnight flight, I fly these airlines as much as possible.The best budget airlines are Southwest, Spirit, Ryanair, WOW, Norwegian, Tiger Airways, flyDubai, and AirAsia. Not only does it help to be flexible with dates and destinations but try being flexible with the route you take, too. Sometimes it’s cheaper to fly to London and take a budget airline to Amsterdam than to fly direct to Amsterdam. There are so many budget carriers around the world that taking advantage of a good deal to another city and then hopping on a budget flight to your destination is sometimes the best way to go. I had to go to Paris once; the flight was $900 USD, but I could fly to Dublin for $600 and get a $60 flight to Paris. It meant more flying time, but the $240 I saved was worth it. To do this, I find out how much it is to go direct to my destination. Then I open Google Flights and type in that destination’s continent to look at prices to nearby airports. If the difference is more than $150, I look to see how much it is to get from the second airport to my primary destination. By working various airlines and special offers, you can save a lot. This method is not for everyone, however. It is more work, as you have to figure out lots of different routes and check different airlines. But it will shave some money off your flight, giving you more to spend at your destination. It’s important to check a few sites before you book, as you’ll often see variations in prices, and you don’t want to miss a deal. The best search engines are the ones that have no affiliation with any airline and make their money via advertising, not bookings. But all websites have their weaknesses and do not include every airline. As mentioned, you aren’t going to find AirAsia, Ryanair, or most other budget airlines on large sites like Kayak, Expedia, or Orbitz. US booking sites also tend to not have the obscure foreign airlines that you see on international sites like Skyscanner or Momondo. Booking sites have blind spots — they don’t cover every region of the world and every airline equally. I start all my searches with Momondo because it searches all major AND budget airlines, non-English websites, English websites, and everything in between. I’ve been using them since 2008 and they vet all the sites they link to as they have strict criteria on who the operate with. Momondo is one of the most comprehensive booking sites out there, they have the lowest price 99% of the time, and it’s the search engine all the other travel experts I know use too. So while the others are good and should not be ignored, Momondo should be your starting point! If you are a student (or under 26), there are many, many discounts available to you. There are a lot of student discount codes out there, and travel agencies like STA Travel or Flight Centre can help find you a cheap ticket. Airline rewards programs are a great way to get free flights, free upgrades, and free companion tickets. No matter how often you fly, you should be signed up for the airline’s reward program. I stick to US-based airlines since they are involved in all the major alliances and you can earn miles on their partner flights. For example, if I fly Singapore Airlines, I can earn United Airlines miles because they are partners. Likewise, if I fly Air France, it’s credited to my Delta rewards account. This way I am always earning miles when I fly. However, if you aren’t from the United States, simply use an airline from your home country that is involved in one of these alliances. Watch for special offers — I sign up for company newsletters because they often have featured offers not found on an airline’s website. This could be triple miles on a selected route or as simple as Starwood’s recent promotion — I signed up for their newsletter and got 250 SPG (Starwood’s Preferred Guest) points. American Airlines once gave away 1,000 points for installing a shopping toolbar into your web browser. These bonuses don’t go into the high tens of thousands, but you can get something over a long period of time by doing virtually nothing. They do add up. Get a travel rewards credit card – By getting a travel rewards credit card (like an airline-branded card or a general points card, such as Chase Sapphire), you can can earn miles and perks, like free baggage checks and priority boarding. Moreover, these cards come with huge sign-up bonuses (whether you are American or live in another country, they all do!) that often equal one free round-trip flight! Dining rewards programs – Just like shopping portals, airlines also have dining rewards programs. You sign up with your frequent flier number, register your credit card, and get extra points when you dine at participating restaurants in the airline’s network (which rotate throughout the year). Join one of the programs in the Rewards Network (they run all the dining programs) so you can get five miles per dollar spent once you became a “VIP member,” which happens after 12 dines. So if you get those 12 under your belt (so to speak) early in the year, for the rest of the year you’ll be getting five points per dollar spent! In the movie Up in the Air, George Clooney’s character said, “I don’t do anything if it doesn’t benefit my miles account.” Think like that. People always try to get the lowest price online, wait too long (or book too early), and then pay too much. We all know airline prices always bounce up and down, yet in our quest to hold out just a little longer, most of us miss the lowest price. Therefore, it’s important to know what you want to pay, not what you hope to pay. What’s the lowest price for YOU? What do you feel comfortable paying? Don’t wait for the perfect price — wait for YOUR price. Be realistic too. If the lowest available price is $1,000 for a flight but the average is $1,500, don’t try to wait for $900, as it’s probably not going to get that low. You will never have buyer’s remorse if you find a price point you are comfortable with. No two people on a flight pay the same price, so all you can do is hope you get the price you feel good about. Airline fares will keep rising, but there is a sweet spot when the airlines begin to either lower or increase fares based on demand. Don’t wait until the last second but don’t book far, far in advance either. The best booking window is 6–8 weeks before your flight, or around three months before if you are going to your destination during peak season. Finding a cheap flight is about being flexible and smart in where you go, when you go, and how you get there. Follow the tips above, but don’t waste forever finding a cheap flight. If you’re spending more than an hour booking a flight, you’re spending too much time. I never second-guess myself on flights. You’ll go crazy if you do. Spend 30-40 minutes finding and booking a cheap flight at a price you’re OK paying, and move on with your life.If you follow the tips above, you’ll get a great deal and avoid being the person who paid the most for a ticket! I start all my searches with Skyscanner because they search all major AND budget airlines, non-English websites, English websites, and everything in between. Even if you aren’t sure your plans, it’s best to start searching for flights today. People who wait to book are people who end up spending the most.